London’s East End was the home turf of the UK’s most notorious serial killer, Jack the Ripper. If you want to re-trace his steps and learn more about his crimes, then you might enjoy taking a Ripper walk through the area. It’s actually fairly easy to find these crime scenes as he murdered most of his victims in public places. Walk in the Footsteps of Jack; Ripper Walks in the East End. You can take a guided tour or simply walk around the locations yourself – don’t forget to stop off in the infamous Ten Bells pub! Some people take a guided Jack the Ripper tour and really enjoy them. Although this is a gory subject, these walks are often led by people who really know the ins and outs of the case and who can bring Victorian East End London to life. Some tours also use hand-held projectors so you can project photos and images on to scenes to see how they would really look. That may be a bit too grisly for some people. Some walks, for example, are led by Donald Rumbelow, who is one of the leading Ripper experts in the country and who was also once the curator of the City of London Police’s Black Museum. This man doesn’t just know about the letters that Jack the Ripper was supposed to have written to the police – he’s seen them. If you really want to create the right atmosphere, you should take a guided walk at night, though that might not suit the fainthearted. Some walks finish at the Ten Bells pub where some of the Ripper’s victims used to drink if you feel like you need some Dutch courage after an evening of murder and mayhem. 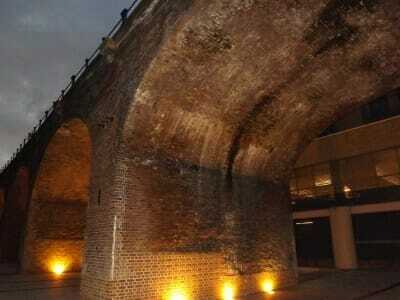 Guided Jack the Ripper tours do cost money and you may prefer to save your cash and walk the walk on your own. This also gives you the flexibility to pick and choose where you go and what you see. The five murders that are considered to definitely be the work of the Ripper are the easiest to find, but you may need to check their locations as some street names have changed. Don’t expect locations to look exactly how they once did; many of the victims were murdered in slum areas which have been regenerated since the Ripper’s time. The first victim, Mary Ann Nicholls was killed in a stable entrance in Buck’s Row – this is now called Durward Street. If you follow the wall from the apartment block (used to be a Board School) on the street, you’ll come to a larger brick pillar next to a small car parking area. This is the place where the stables used to be. You may pass through Vallance Road on your way to Durward Street – that is also worth a look as it is the street in which the Kray twins were born. Annie Chapman was killed in Hanbury Street in Spitalfields. The name of this street has not changed but you may not be able to access the exact murder spot. If you find the site of an old brewery which is now used for car parking, you’re there, but her body was actually found at a spot inside the park, which may not always allow public access. Elizabeth Stride was murdered in Dutfield’s Yard, leading off from Berners Street. Berners Street is in Whitechapel, but has been renamed Henriques Street. The yard also no longer exists – it used to be located close to the corner where Henriques Street meets Fairclough Street. The body of Catherine Eddowes was found in Mitre Square. If you enter the square, which still has the same name, you’ll see a walled in flower bed with a bench against it and a street sign. Eddowes was murdered under the trees that stand near the bench now. Mary Jane Kelly was the only one of the five main Ripper victims to be murdered indoors. Her body was found in her room at Miller’s Court, leading off from Dorset Street in Spitalfields. Miller’s Court no longer exists, and Dorset Street has been renamed White’s Row but you may still be able to access the site. The street is now an alleyway running between a car park and some warehouses. Miller’s Court was located where the warehouses now stand. London being London, there are also plenty of other Ripper-related sites you can visit. The Ten Bells pub on Commercial Street in Spitalfields is one of the most popular, especially after a long walk around East London! It is thought to have been used by some of the Ripper’s victims – some experts believe that Annie Chapman was drinking here shortly before she was murdered. 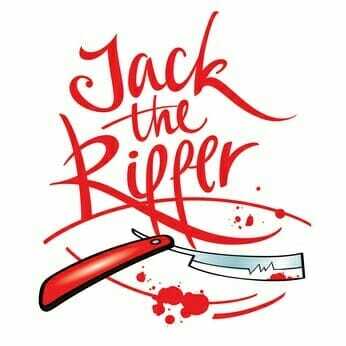 In the 1970s, the pub was renamed The Jack the Ripper to commemorate its Ripper links, though a campaign had the name changed back to the original in the end.